Mountain Lengai (normally known as “Ol’doinyo Lengai”) rises about 2,100 meters above the East African Rift Valley floor to a height approximately 2,880 m. The name Ol’doinyo Lengai which means “Mountain of God” originates from the Maa language (the Maasai’s language) from Ngorongoro area. The Maasai people conduct prayers to God “Enkai” or “Engai” whom the Maasai believe is the Creator of all things on this active volcanic mountain. Ol’doinyo Lengai is the only active volcanic mountain in the East African Rift Valley Region which attracts many geologists from all over the world who come for research. Scientifically, carbonated lava is dark brown upon extrusion, but reacts very rapidly and turns into moisture to hydrate, then to secondary alteration minerals that impart a white colour to the rock. The Maasai believe that the “white rock” symbolizes the white beards of “Enkai”. 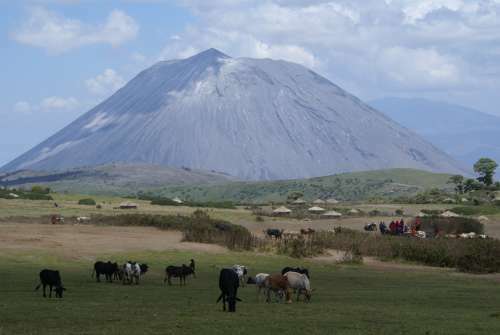 Many tourists visit and climb this mountain which is located in Northern Tanzania every year. One should not underestimate this 9,442 feet long mountain, as it needs much determination to climb because of the steep walking. However, climbing Ol’doinyo Lengai doesn’t require technical skills to get to the peak. At the summit, the small cones formed by lava can be seen on the crater rim. Despite the fact that Ol’doinyo Lengai’s volcano erupts frequently there are no records of injuries or deaths. Geologists tell that Ol’doinyo Lenga’s lava is not as hot as other volcanoes lava recorded in the world. It takes three days to the summit of Ol’doinyo Lengai. 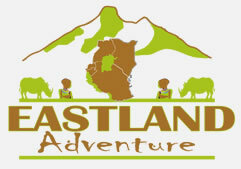 After a climb to Lengai, we advices tourists to spend sometime and take a tour around Lake Natron. Lake Natron is the only lake in East Africa with accommodates numerous flamingos and other birdlife. Zebras, elephants, giraffes, can be viewed on the walking safari from Ngare-Sero, Engaruka to Loliondo accompanied by armed rangers.